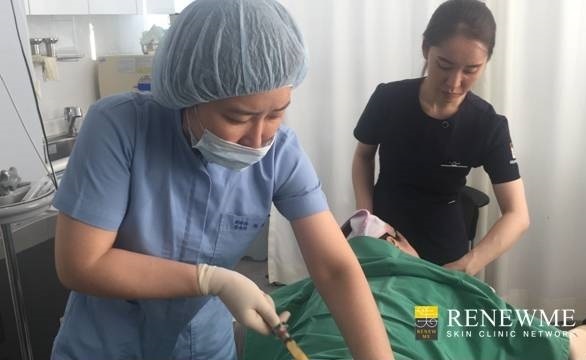 Here is the review for Chinese patient who has PRP fat graft and Acculift. Here is patient review from Chinese patient below.
" My friend already had PRP fatGraft at Renemeskinclinic. 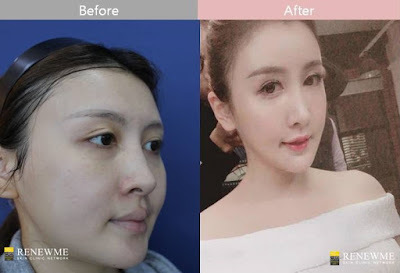 She didn’t have any swelling and natural looking right after treatment. So, I decide to go to the clinic with Dr. Ha from Jamsil branch. During the consultation, the doctor asked my opinion first and designed my face naturally. When I was young, I was so stressed about double chin. Dr. Ha recommended AccuLift laser to remove excess fat on double chin and lifting. I was so happy to resolve my weakness! I LOVE my results that I got volume and young face with natural V-line. Thanks to Dr. Ha and Renemeskinclinic. " 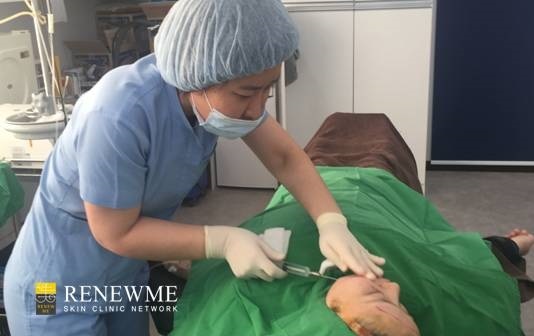 Patients has a consultation with a professional dermatologists in Renewmeskin. We also have English or Chinese translator in our clinic. If you are worried about translating in English and Chinese, you don't need to worry about it. Also, the doctor check your area and guide which treatment is suitable for patient from many experiences. First, patient need to check smooth fat area with doctor. Normally, the doctor recommend that fat cells are collected from lower abdomen and thighs to be injected to the face to improve volume. If patients use their own blood cell and fact, there is no side effects and the results are long lasting. Also, you need PRP (platelet Rich Plasma) is plasma that can act to vitalize stem cell. Blood is withdrawn from the patient, centrifuged, then injected back into the skin. It helps the skin and skin tone and acne skin problem to improve your skin from the volume. CLICK HERE to be directed to our fat graft page.